The Christian culture that has underpinned Western society for centuries has been eroded. We're now at the point where to disagree with people on issues such as marriage and sexuality, is seen as hateful. Christians are no longer seen as honorable, but as bigots. But history testifies that the more people try to destroy Christianity, the more it grows. So we are entering an exciting period of time because we’re back in the place where Christ’s church can thrive - at the margins of society. Matt is a voice I trust. In times of significant cultural shift in the world, we need courage. Instead of walking in fear and making false proclamations about the church’s mortality, we must brace ourselves for a deeper sense of commitment to courageous engagement. 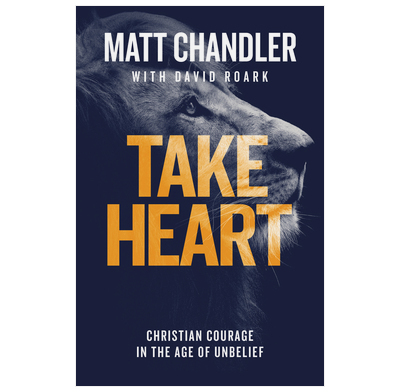 Pick up this book to get pointed in the right direction, and walk in commitment to strategic courage in this time of shifting uncertainty. For many of us, these seem hard days indeed to be a Christian. But by reminding us of the church’s long, rich history and of God’s strong, constant love, shows us that even in this difficult age, believers have every reason for courage and to be of good cheer.